In the dim, smoke filled stadium blue light beams flooded onto an enormous tarp-covered stage. Kanye West walked casually into the stadium, stopping only to look at his family before he continued to the back to greet his friends. 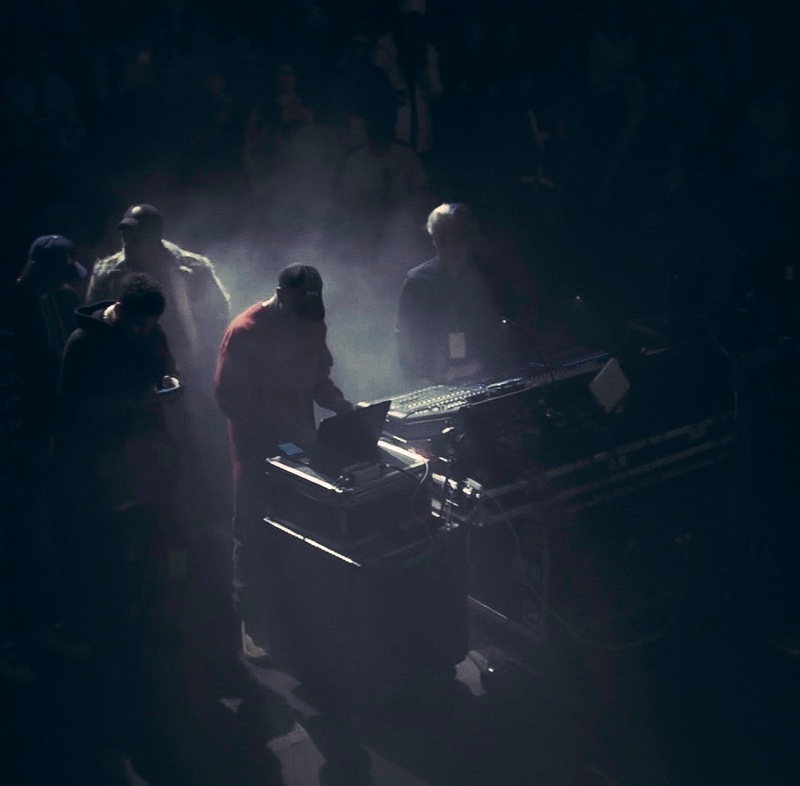 He moved towards the mixer, plugged in his laptop, and the first record off his brand new album, The Life of Pablo, boomed through speakers, sending vibrations through the audience. The first track “Ultralight Beam”, a gospel esque song about his faith in god, played through. Pusha T, Frank Ocean, Kid Cudi, Don C, and Big Sean, among others, came to rally behind him. As the song neared its end Pastor Kirk Franklin is preaching on the outro. “Faith, more, safe, war” is sung by a choir that echoed throughout the arena. 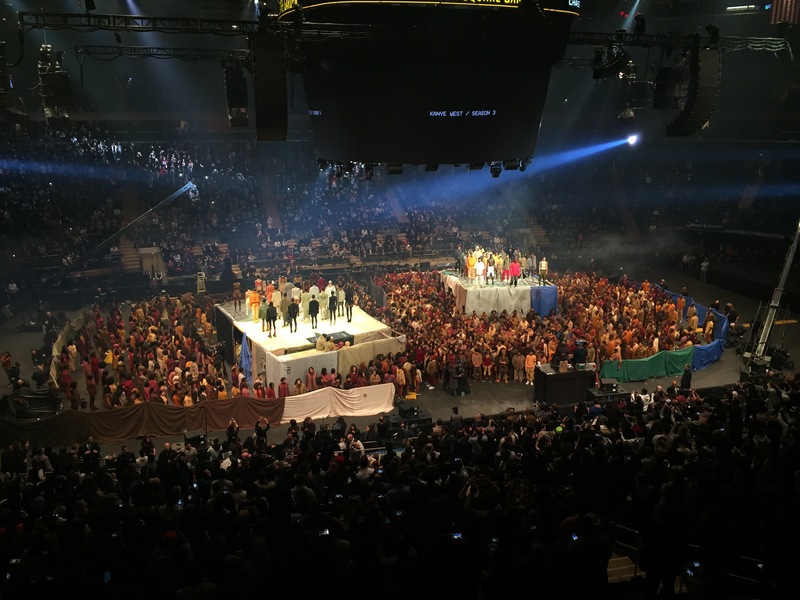 Simultaneously, the tarp was pulled and the Yeezy Season 3 collection was dramatically revealed. 18,200 people stood in silence as the shock and excitement set in. It was a beautiful unveiling. Kanye West is known for his projects to inspire the culture. He incorporates elements from various industries and has innovative visuals to create the greatest product possible. Yeezus, for example, blended architecture, choreography, fashion and music into one incredible presentation. Each and every time he performs, whether it is on Saturday Night Live or Coachella, the visuals push the boundaries, setting a high standard. Although he chose not to perform at The Life of Pablo event, the music spoke for itself and impacted the culture. Kanye has been fighting for his vision since the beginning, which is admirable. He was told he would never be a rapper, a producer, or a fashion designer, yet he has found success in doing all three. 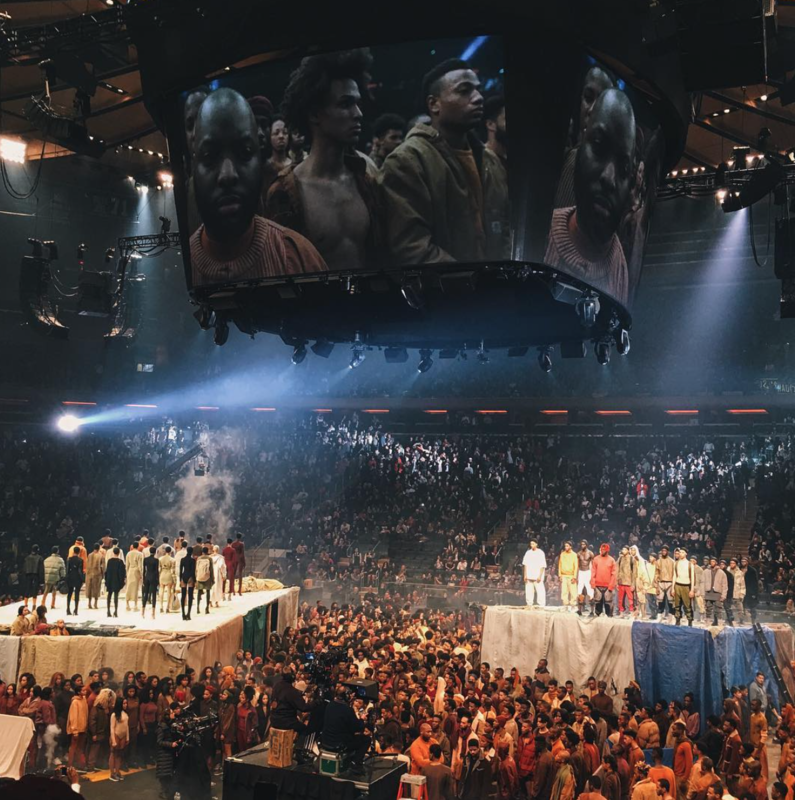 Many have sold played sold out shows at MSG, but Kanye is the only rapper to ever sell out for a listening party. Looking down at the pit, seeing his team behind him and the crowd chant his name, while a masterpiece plays in the background is a testament to his perseverance. The production as a whole took elements from all of his albums and combined them into something brilliant. The album has features from Kid Cudi, Rhianna, The Weekend, Chance The Rapper, Desiigner and Frank Ocean. Kanye gave the younger generation a platform to play their music. Towards the end of the presentation, Young Thug, a model in the show, hopped off the stage, walked over to Kanye, plugged in his own iPhone and began playing a new song. Right after, Vic Mensa did the same, followed by ASAP Bari. Virgil Abloh of Flat White continued this trend by mixing after the show. He wanted to create a space where everyone could have their chance to be heard and shine, even at his own event. The presentation was about much more than the music. Kanye has four fashion shows under his belt, this being his fifth. The production of the show was unlike anything ever before. It portrayed a purpose much deeper than presenting the clothing itself. He snuck in aspects of politics and various social issues. Vanessa Beecroft, an Italian contemporary artist, designed the set, which was based off a 20-year-old picture from a refugee camp in Rwanda. There were two stages in which the main models stood upon, including 1,200 extras that stood below creating the appearance of a village. The models were primarily ethnic with cameos from Young Thug, Naomi Campbell, Alek Wek and Veronica Webb. The apparel was an essential aspect of the scenery. It merged high fashion and military grunge fits, which consisted of destroyed sweaters, knits, cropped shearling jackets, parkas and, of course, the coveted Yeezy shoes and boots. To see models crying and raising their fists in the air to lyrics like “I’ve been thinking about my vision, pour out my feelings, revealing the layers to my soul, my soul” from “FML”, the eleventh track on the album or Kanye rapping “Real Friends” was both significant and powerful. Maybe it’s because Kayne brings such a distinct character into the world, or rather its because his beliefs, music and collections speak to a generation, either way he tends to bring every type of person together for the better. The crowd is extremely diverse, coming from all over the world to enjoy the music. You can meet amazing people from attending these shows because you most likely share common interests. (As a matter of fact, I met my best friends at the Yeezus tour) Kanye also brings together celebrities from different industries. Only Kanye could pull off seating Vogue Editor in Chief, Anna Wintour, reality television sensations the Kardashians, creative director of Balmain, Oliver Rouseting and rapper 50 Cent in the same section. To have Anna Wintour listening to a Young Thug song is unheard of. Everyone is conversing, networking, creating new possibilities and giving inspiration, which is the overall message of Kanye West anyway right? Create new possibilities and push the culture forward.